We’re happy to announce that we have added Eclipse Communications a premier Technology and Integration Partner! As a Michigan owned company, we’re excited to partner with a local company who shares similar core values and a dedication to forward-thinking technology. Although we provide many unique services and take pride in our ability to deliver on our promises, we also believe in providing you with the perfect solution to fit the specific needs of your business. Eclipse Communications offers a suite of services that perfectly complement our own offerings — allowing us to provide you with even more robust technology solutions and recommendations. As a technology-based security, access, and life safety provider, we are often asked to consult with clients on projects involving Network Services, Wireless System Architecture, Wireless Internet, and Information Technology (IT). We recognize that our service offerings can be limited within the scope of these particular areas. This new partnership allows us to work alongside Eclipse Communications and together we’ll make certain that you receive a unique, cost effective, and highly customized solution — one that’s designed to achieve your overall goals. This partnership also enhances our ability to connect you with highly seasoned professionals with whom we have already vetted and trust. Overall, this technology and integration partnership was a “no-brainer”! We have admired the services, dedication, and reputation of Eclipse Communications for several years and we know that the feeling is mutual. Together with Eclipse Communications, we look forward to giving our customers new and expanded service opportunities and seek to provide an even higher level of customer service and support. We’re truly excited about the benefits this new technology partnership gives to our customers! Eclipse Communications is a WISP (Wireless Internet Service provider), MSP (Managed Services Provider) and IT Consulting Company based in Benzonia, MI. You’re busy with your career, taking the kids to school, running errands, going to dance recitals, picking up dinner, driving the kids to soccer practice, preparing your big presentation, inspecting the job site… like we said, you’re a busy person. When you’re busy, it can be easy to forget the simple things. Did you lock the door? Turn off the lights? Arm the security system? Unplug the curling iron? There’s nothing worse than remembering that you left the garage door unlocked halfway through the 2nd period of your kids hockey game. What do you do? Every year home and personal technology gets more advanced and affordable. Today’s residential security systems feature more than just alarms and sirens. They also offer the illusive peace-of-mind that comes with complete home automation and security—systems design to fit your busy lifestyle—total control of the home. So, let’s check out three home security features that you shouldn’t live without! Okay, so what what else should your system be doing? How about setting your homes temperature to the perfect level, when you leave and arrive home? Not bad, eh? Not only is this great for comfort, but it’s also great for your wallet! New security systems from companies like DMP feature climate control built right into the keypad! Another home security feature that you’ll soon find you can’t live without is lighting control and automation. This allows you to set your kitchen lights to turn on automatically at dusk, or to set your outdoor and foyer lights to switch on as you approach your home in the evening, the options are almost limitless. These features add an additional layer of security and convenience to your home system. Concerned that you left the basement lights on when you arrive at the airport? No worries, check your mobile app and switch them off—brilliant! Let’s say you’re on vacation, relaxing with the family and enjoying a week of stress-free living. Then Fred calls… Fred agreed to feed your cat while you were away and now Fred can’t find his key to your house. So now, you’re worried about poor Whiskers getting hungry, your worried about hiring a locksmith, and your worried about what actually happened to Fred’s key! The big take-a-way here is now you’re on vacation and totally stressed. However, this isn’t something that has to cause any stress at all. A modern security system eliminates the need to give Fred a key, and makes it almost impossible to get locked out of your home. At the press of a button, you can give Fred access, he can feed Whiskers, and if he even if he forgets to lock-up and set the alarm when he leaves, the system will automatically do it for you. Now that’s vacation worthy peace-of-mind. We’ve already established that today’s home security features include climate control, but we didn’t talk about what that does for your family’s budget. Adjusting your thermostat from 72° to 78° can save up to 18% on a home’s cooling bill. That’s a big savings for any budget! Maybe 78° is just a little too hot for you, that’s cool too (pun intended) . You can set the temperature to adjust based upon your lifestyle. Systems can be programmed to raise the temperature while your away, and to lower it before you return — no impact on your comfort, other than a heavier wallet. We’ve also discussed how lighting automation can increase safety, security, and peace-of-mind — but there’s more. For every child in a home, there is a parent following said child around turning off lights. We know it’s cliche, but people (especially kids) leave lights on constantly. And each one of those lights is spinning your electric meter. Having the ability to control and automate the lighting in your home can have a significant impact on your finances. With today’s home security systems, you can set up lighting schedules and control lighting remotely. That gives your more power (another intended pun), to control your home’s electric bill. Where would we be without apps? Nowadays there’s an app for almost anything, including control over your home security. Mobile keypad applications like Virtual Keypad give security system owners (like you) the ability to arm or disarm the alarm, control lights, locks, thermostats, cameras, and other automated home services right from your smart phone or device. Another great thing about mobile keypad apps is the ability to receive alerts and event notifications. Notifications are great for things like getting alerted when the kids return home from school or practice. Not to mention the peace-of-mind that comes from knowing you’ll be notified immediately with any alarms. Connecting mobile devices and security systems have yet another benefit. Geofencing! If you haven’t heard of geofencing, then you’re in for a treat. It’s a system that uses the GPS features of your phone to trigger events on your system — but these events only occur if you go outside your virtual fence. Let’s say that you decided to take a trip to the market and forgot to lock up your home. No worries, once you cross the border of the geofence (perhaps it’s 500ft from your home) your system can automatically lock your doors, arm your system, and even turn off the lights. Finally, wouldn’t it be awesome if you could instantly view a camera system inside your home to determine the cause of the alert notification you just received. Well, today’s home security features include the ability to do just that. It’s called “video verification” and it’s a great way to check alarms, check on your children, or in a worst-case scenario, identify criminals. And this can be done right from the palm of your hand — it’s amazing. Today’s home security features are perfect for today’s busy lifestyles. They make it almost impossible to for get the little things like locking the door, turning off lights, and arming the system. They can also pay for themselves in the money they save through automating things like thermostats, lighting, and devices. They offer the perfect blend of safety and convenience and are a benefit to any home owner! Home security systems are great for protecting the things that you hold dear. We offer top-of-the-line solutions to help you protect your loved ones and your property. But there is more to home security than investing in security system, here are 6 Easy Home Security Tips that you can use today to discourage burglars and protect your property. 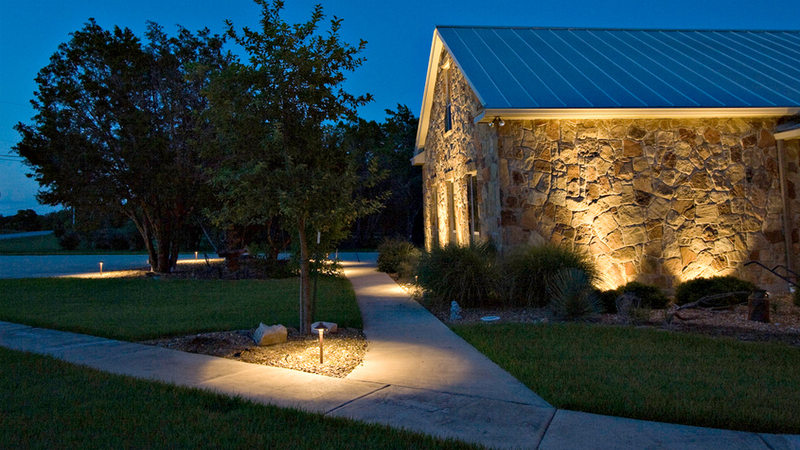 Install motion controlled outdoor lighting. It’s inexpensive, easy to install, and oftentimes more than enough to scare off any would-be intruder. You can take this up to the next level by adding plainly visible cameras near any entrances to your home. Most burglars will avoid homes with well placed and highly visible cameras—it’s just not worth the risk. It’s also a great idea to Install window and door shades that offer light filtration. This not only gives you privacy, but it also allows you to enjoy natural light during the day and presents an occupied home at night. Guard garages & sheds. Keep your garage and shed doors closed, even while you’re home. This way thieves won’t be able to “window shop” for items they may want to steal later. You could even kick things up to eleven by pointing an outdoor camera at your outbuilding to keep an eye on your belongings 24/7/365. It’s also a good idea to lock-up any valuable items, like bicycles, grills, and tool cabinets with a chain and pad lock—even in your garage! And while were on the topic, make sure to lock up that ladder when working on a home improvement project. In other words, don’t leave ladders out overnight. If you simply can’t put them away, at lease move them out of sight. Ladders can be an open invitation for burglars to climb into your home. Finally, keep your car doors locked and windows closed, even if you’re just making a quick stop for gas. Never leave valuables, especially electronics or money, in the car. It seems like a no-brainer, but statistically most property theft from vehicles involves an unlocked door or open window. You don’t have to organize the Independence Day block party, but you should get to know your neighbors. If your neighborhood doesn’t already have one, start a neighborhood watch and install some signage! Be observant, knowing what your neighbors look like, knowing their schedules, knowing what vehicles they drive, etc., will help you to notice when things “don’t look right”. Plus, having a network of people looking out for each other is a great safety precaution. The more eyes the better! Mother Nature is the great equalizer. Not only can she be beautiful, but she can also play a role in your home security. One of the ways that you can use nature to your advantage is by planting low, thorny bushes under your windows. 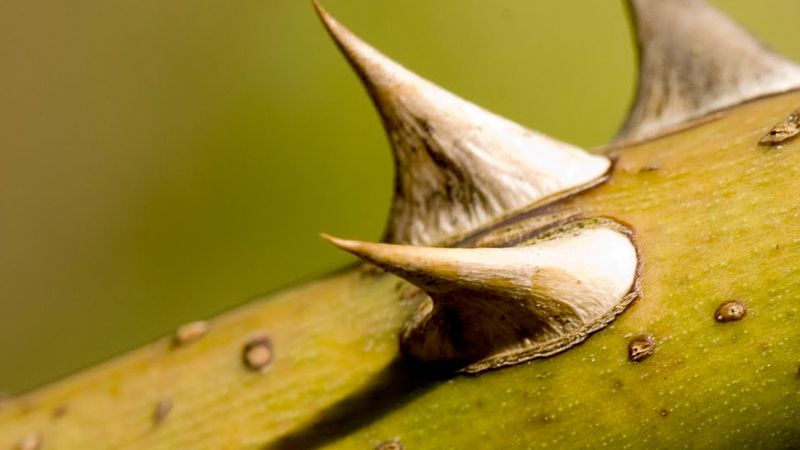 There are a bunch of really attractive thorny bushes that will look great, plus they’ll deter intruders from using those areas to gain entrance to your home. Getting stabbed, cut, and scratched by thorns isn’t the best way to start to “B and E” and most criminals will avoid the pain and move along. On the other hand, sometimes you have to keep Mother Nature in check. You can do this by pruning or replacing large shrubs adjacent your home. Intruders love to hide behind shrubs and bushes while prying open a window or door. Hey, we get it. Traveling can be really exciting, and although no one likes to admit it, we all get some enjoyment in rubbing our vacation plans in the faces of others. Especially Denise from accounting who took that trip to Tahiti last February… and kept texting that quintessential “feet by the pool picture” while you were shoveling the snow off your back deck. So yeah, we get it. Here’s the thing though. As much as you may want to, don’t indicate when you’re away from home. Don’t change your voicemail or answering machine message—and please, don’t share those vacation photos until you return from your trip. Criminals use social media too! You should also use Smart Outlets to turn lights on and off and make it look like someone’s home while your away —and put your lights, TVs, and radios on timers so that you can create the illusion that someone is home, even when you’re not. A simple timer will work, OR take it to the next level with an automated security system. That’s right. 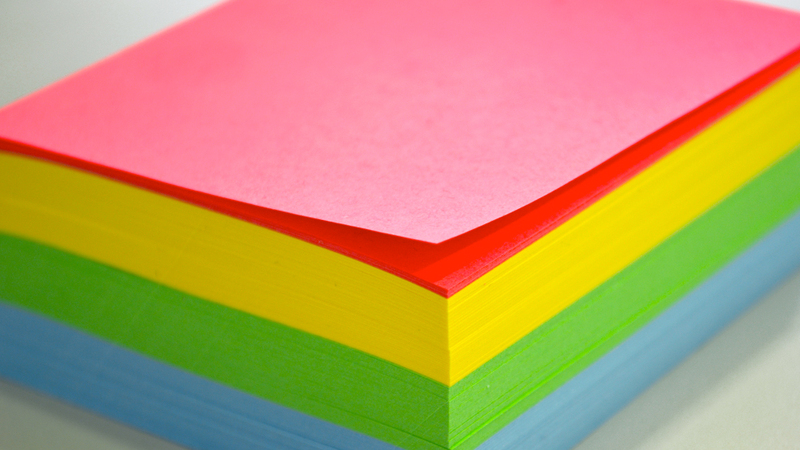 Take notes… and throw them directly in the trash. You should never leave a note on the door for delivery people indicating you are away. We understand how difficult it can be to get packages when you’re working 50-hours a week—but in this day-and-age you just can afford to share that kind of information. Porch pirates and burglars both love to get these sorts of notes, even more than the FedEx person does. If you’re an Amazon addict and absolutely have to leave instructions for delivery people, try a video doorbell or intercom solution. They’re affordable and a much more secure solution than a sticky note and a prayer. Did You enjoy our 6 Easy Home Security Tips? Don’t forget to like and follow us! All-Clear by TKS is an innovative and crucial step to ensure that your financial center employees have entered your facility safely. It also ensures that no employee or customer walks into a potentially dangerous situation. The All-Clear solution is a stand-alone, independent system that notifies authorities and essential company personnel that your facility has been deemed safe to enter by your opening staff. All-Clear from TKS Security offers a separate, independent, and secure system that supplements your existing credit union, luxury retail location or bank security alarm system. It’s the ideal solution for notifying authorities and company representatives as to whether or not your facility has been deemed safe-to-enter. It’s the perfect solution for financial institutions and businesses with high-value merchandise. Contact Us Today to Learn More about how All-Clear can benefit your Financial Center or Luxury Retail Establishment. Did you enjoy learning about All-Clear? Don’t forget to like and follow us!